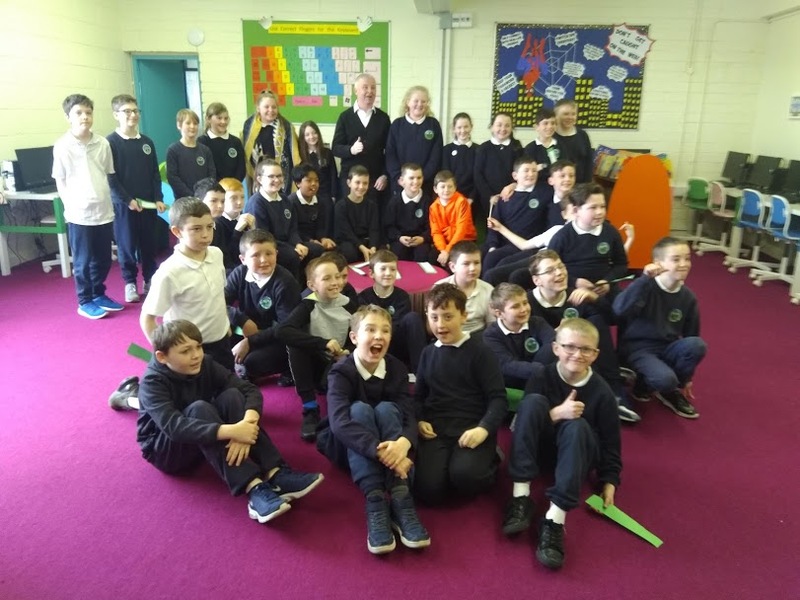 Well done to March’s All Star Attenders listed below. To view an article and photos from the Bray People about World Book Day click here. 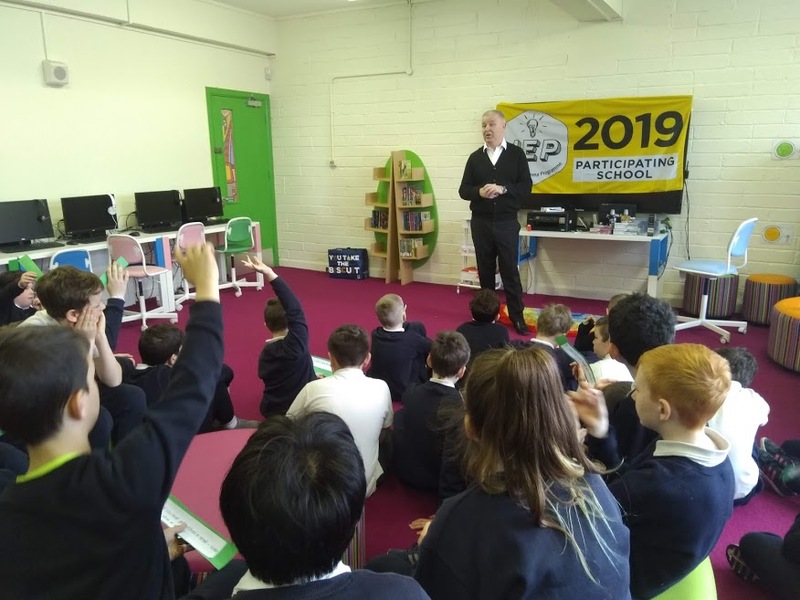 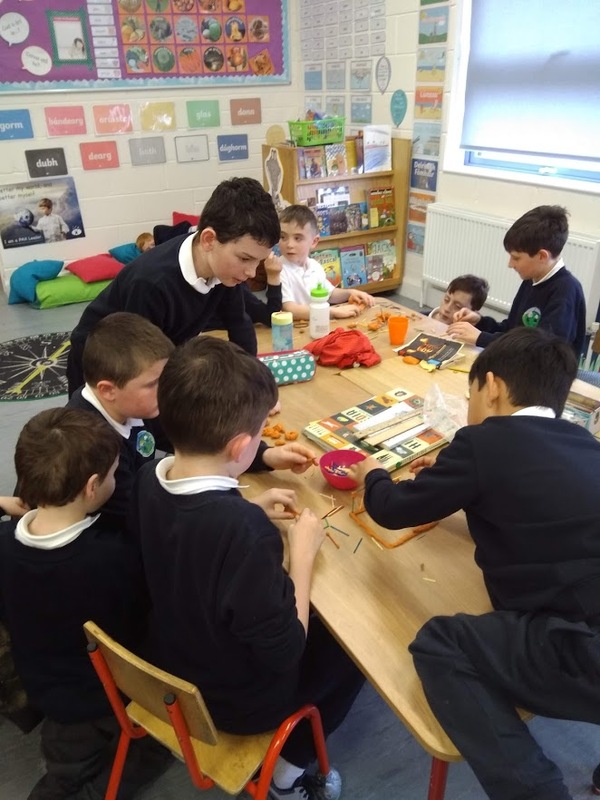 5th and 6th class pupils are currently taking part in the Junior Entrepreneur Programme and have been working hard over the past few months to learn about what it takes to set up and run your own business! 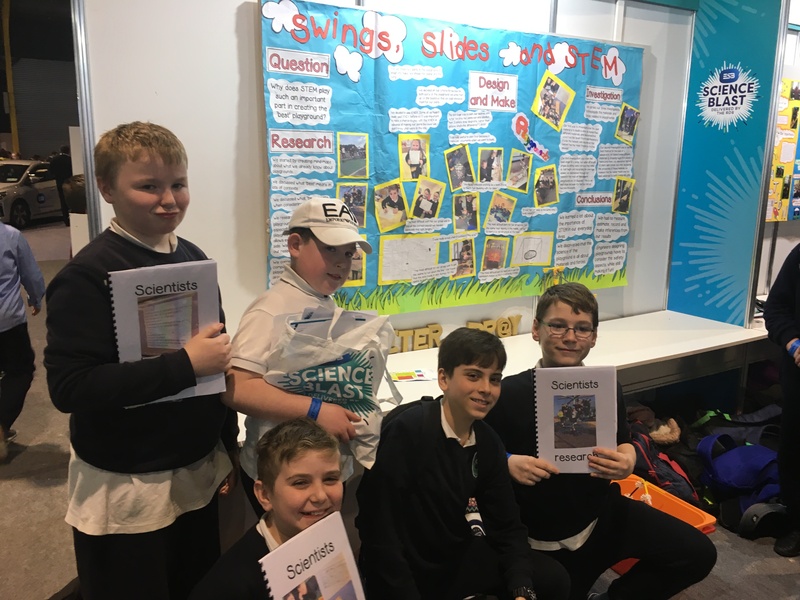 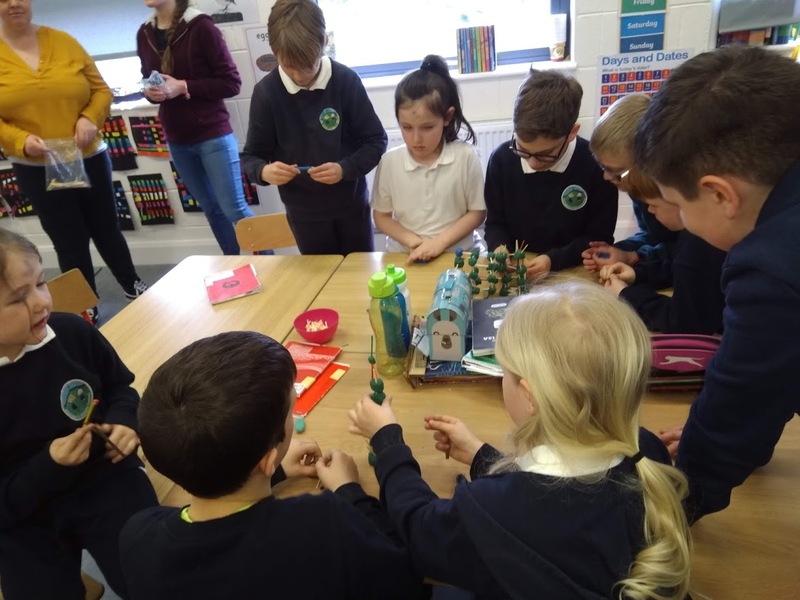 We have learned about the qualities that it takes to become an entrepreneur and the different aspects to running a business, from marketing, finance and product/ service design. 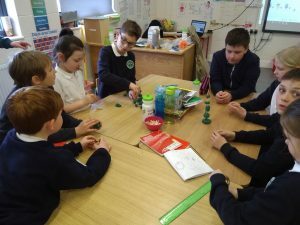 We worked in groups to develop possible business ideas and pitched them in the Dragon’s Den! 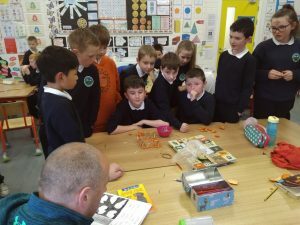 Mr. Foley and Brian, a guest entrepreneur, listened to our ideas. 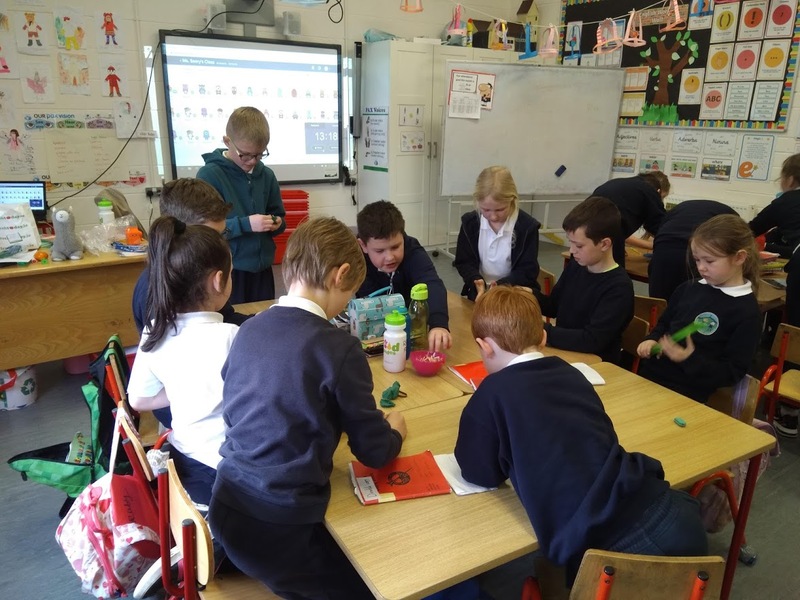 Teamwork and communication were key during our presentations and the dragons gave us all feedback and chose which business idea would go forward into production in each class. 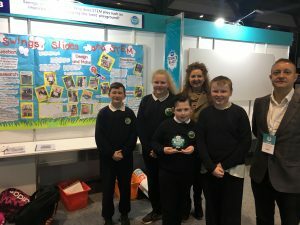 We were delighted to hear such positive feedback on all the ideas we presented! 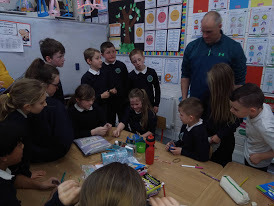 We were also lucky enough to have a business person visit us to discuss how to set up a business, what types of costs are associated with running a business and what motivates them to continue to develop their product. Christy came to speak with us about his hugely successful business, Beverly Hills Formula! 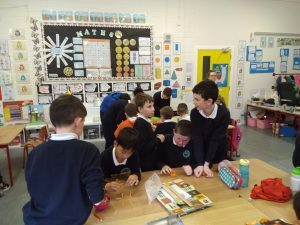 We were very interested to hear about how his business has grown and what types of people work with him on his team. He told us to remember that you must have a unique idea to develop and be able to/ enjoy talking to people. 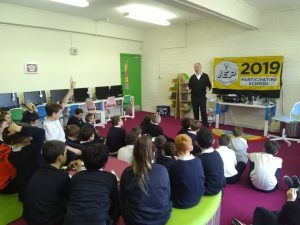 We had the opportunity to ask him a variety of questions and he very kindly answered all of them! 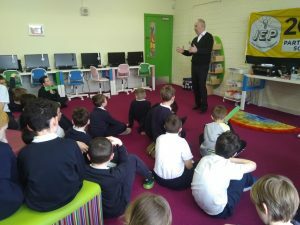 We were encouraged to hear that entrepreneurs often like hiring recent college graduates with ICT skills, so we’ll bare this mind in future! 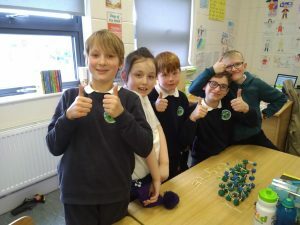 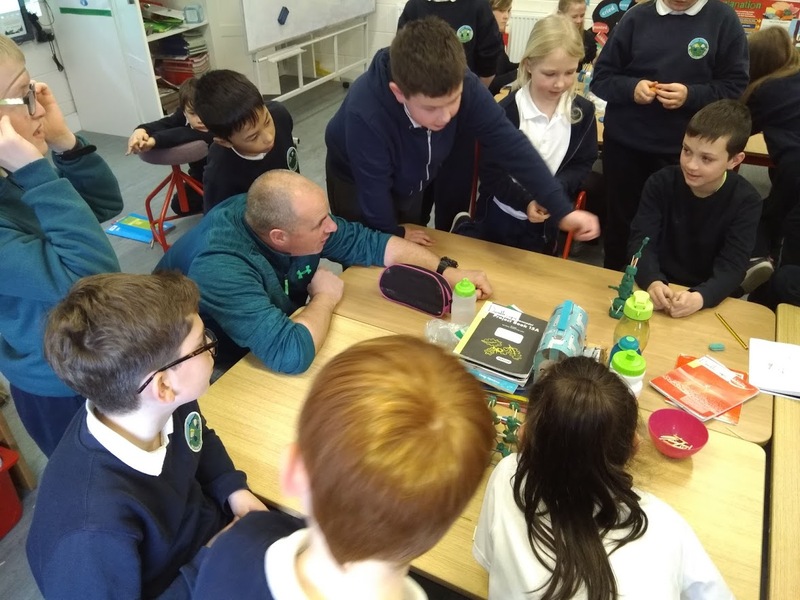 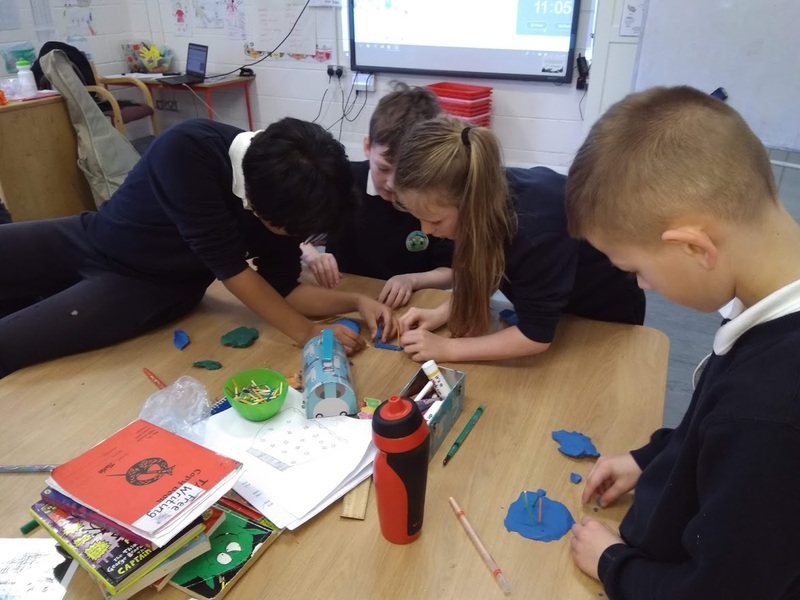 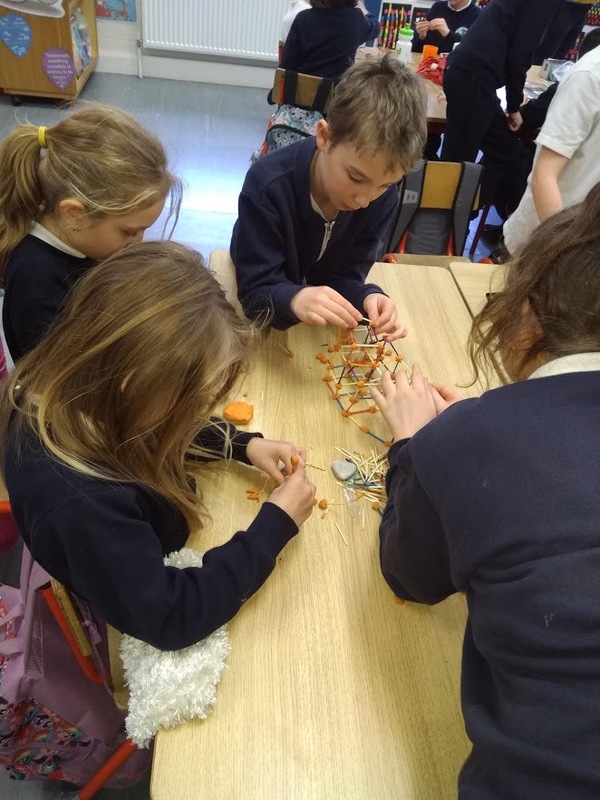 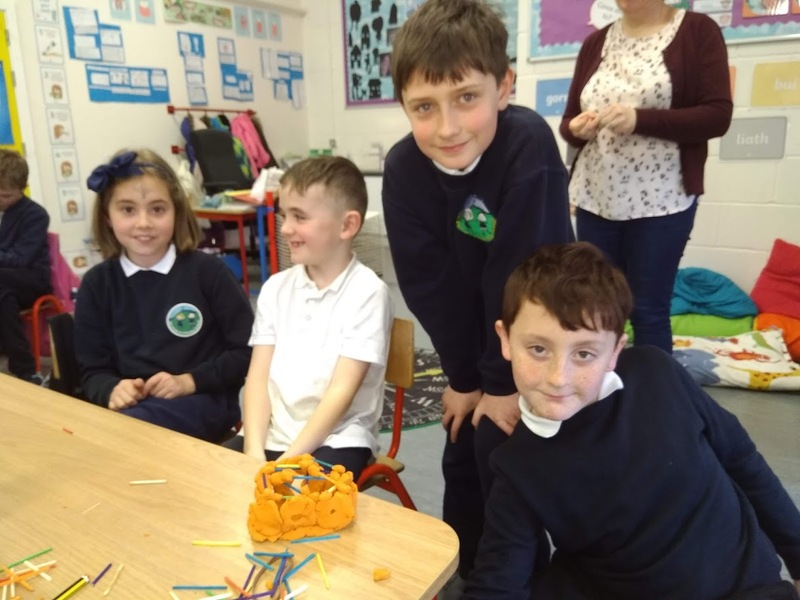 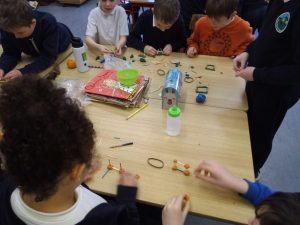 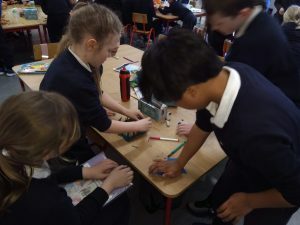 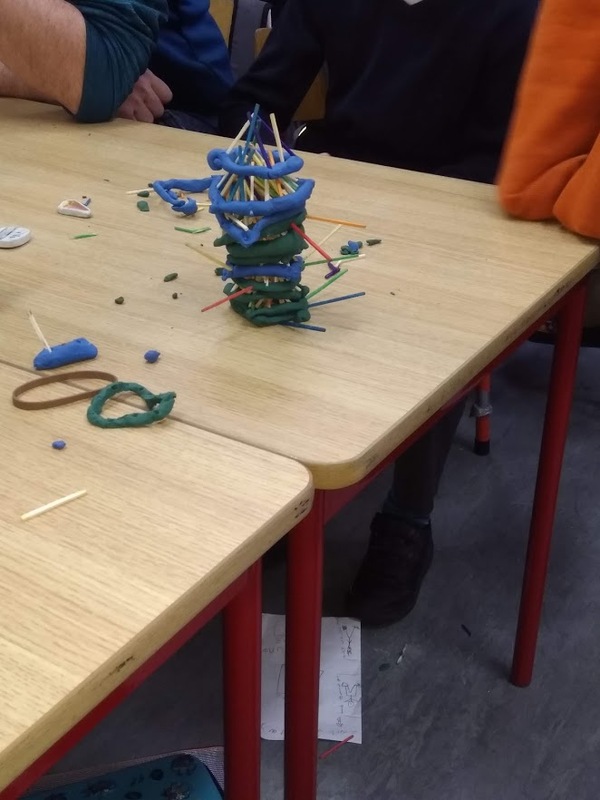 Second and Fifth class decided to join together to celebrate Engineers Week on Wednesday and had lots of fun completing a STEM challenge. We worked together in small groups to try to build a structure that was strong and tall. We had to build using either a square or rectangular shape because we wanted to see if this would make any difference to how strong and tall our structures would be. 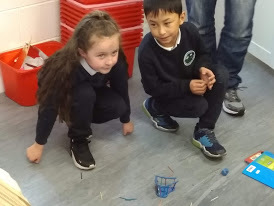 Teamwork was also very important! 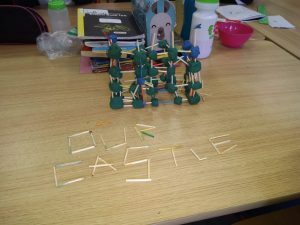 We used plasticine and and small match sticks to create our structures. 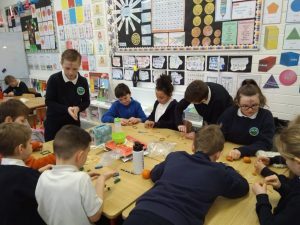 Check out some of our photographs below to see us in action! We worked really well in our teams, making sure that everyone had a chance to contribute. 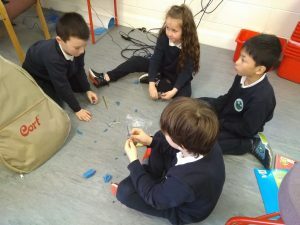 We found that it was important to mould the plasticine carefully as this helped in making our structures strong. 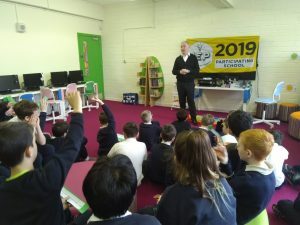 We kicked off our new school year with a good start on attendance. 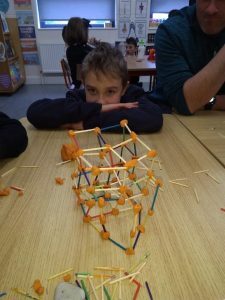 Despite the usual coughs, colds and sniffles we made a big effort to get in to school and had an extra special bonus prize this month. 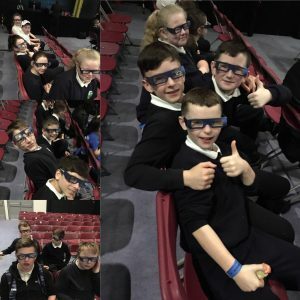 Any child in everyday for the last 2 weeks of January got to go to the “School Cinema”. We had the hall set up with a giant projector screen and watched Gnome Alone in the morning, complete with popcorn. We also had several classes beat their attendance from January last year and will be kicking off the prizes for those classes with pizza parties this week. Keep up the good work on attendance and well done to all our superhero attenders for January.